Addison Keller Springs offers studio, 1 & 2 bedroom apartments. Please select a unit that you like, fill out your name, number, and email, and you will be redirected to our quick and convenient online application. Not seeing what you're looking for? Availability changes every day, if you tell us what your needs are we’ll call you when availability changes. All room dimensions are approximate and may vary by apartment. Embrace a life of luxury at Addison Keller Springs. With modern architecture and clean design, we’ve created an environment you’ll be proud to call home. 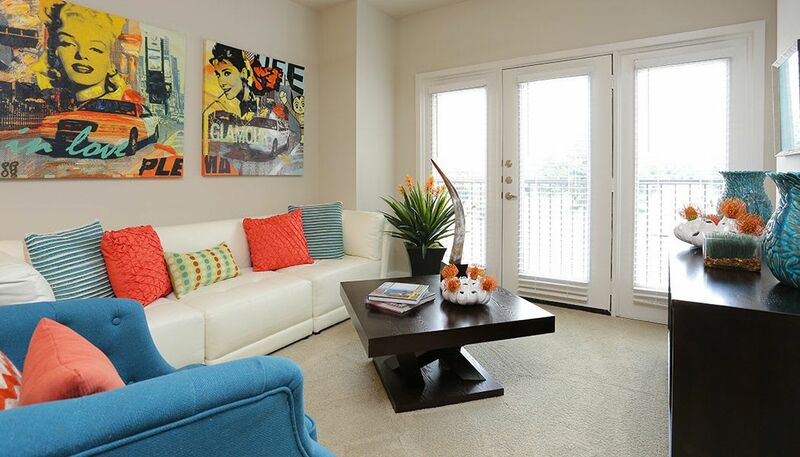 Our luxury community offers studio, 1 & 2 bedroom Addison, TX, apartments for rent in Far North Dallas. Your new apartment is loaded with top-of-the-line features, including a gorgeous gourmet kitchen fit for amateur and professional chefs alike, handsome wood-style plank flooring, and refreshing air conditioning with a programmable thermostat. Situated in Far North Dallas, Addison Keller Springs offers studio, 1 & 2 bedroom apartments for rent in Addison, TX. With seven distinct floor plans ranging from 764 sq ft to 1,305 sq ft, you can take your pick of our luxury living spaces. Outfitted with impeccable upgrades, you’ll find luxury around every corner in your new home at Addison Keller Springs. Each of our seven spacious floor plans is finished with contemporary wood-style flooring, lofted ceilings, and custom two-tone paint to enhance your unique style. Invite friends and family over for a delicious meal prepared in your first-class kitchen, complete with stainless-steel and energy-efficient appliances, gorgeous granite countertops, a sleek tile backsplash, and custom cabinetry. You have the tools you need to create culinary dishes right at home. Addison Keller Springs offers home inspired by luxury. Call today to schedule your tour of our Addison, TX, apartments for rent in Far North Dallas.